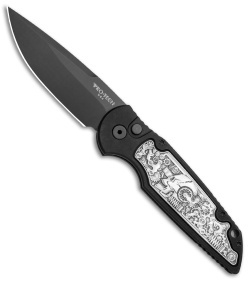 This TR-3 model has a black finished handle with a Shaw Steampunk "coin struck" inlay and a black finished blade. 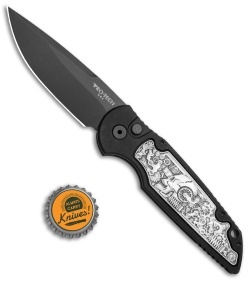 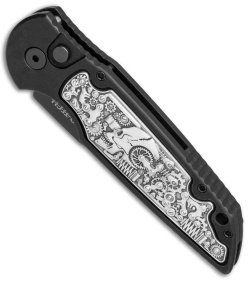 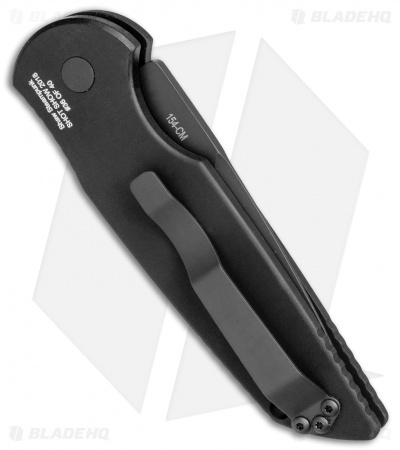 The TR-3 Auto is an awesome offering from Protech Knives. 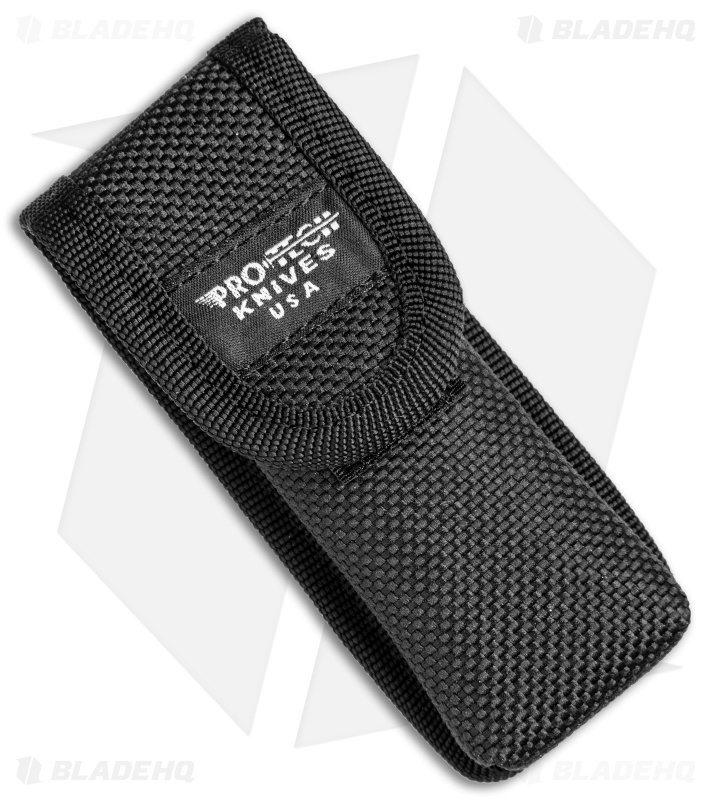 It features a 6061-T6 aluminum handle with a black finish and a smooth surface. The 154-CM steel blade is satin finished with a plain edge. Black coated pocket clip and hardware finish off the design.